After 2 recent 7”s from Hero No.7 v Mash & Munkee and Savages & Unifairfly, Hero Records’ label bosses Hero No.7 return alongside Manchester-based producer Gumbo Ya Ya with a brand new 7” of hip hop breaks and psyche grooves. 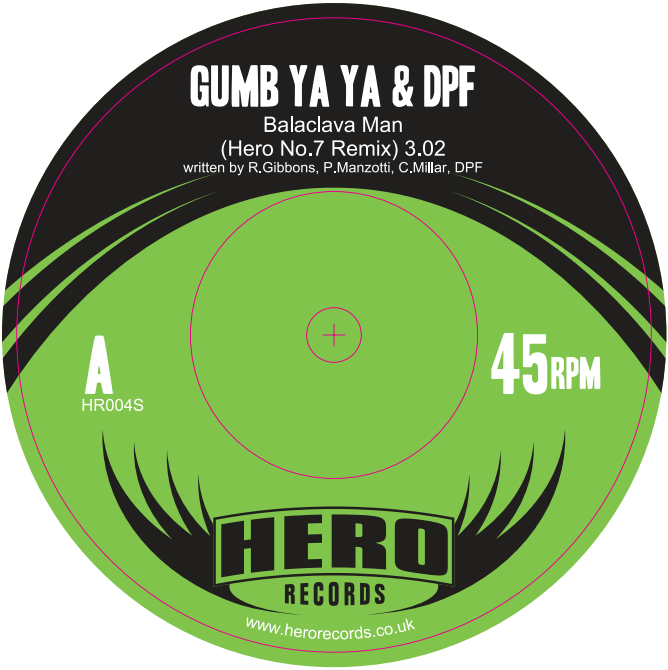 The A-side features Hero No.7’s take on the track “Balaclava Man” from Gumbo Ya Ya’s “Life In The Making” EP originally released on Humble Monkey Records. 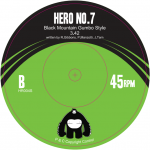 For this version the Heroes strip away the original backing and replace it with a bouncy, percussion-filled b-boy break and a funky bass line, whilst retaining DPF’s incredible vocal skills. Another track for the b-boys and funky hip hop fans. The flip features an incredible remix of “Black Mountain” originally from Hero No.7’s “Right Side Of The Tracks” EP (the original of which received support from the likes of Craig Charles’ Funk & Soul Show on BBC 6 Music) by Manchester-based DJ and producer Gumbo Ya Ya who has previously had his tracks released on Son Records, Area Six and Humble Monkey and also produced tracks for the Extremists from Skitz’ Titan Sounds crew. Gumbo’s remix adds harder drums, intricate scratching and extra instrumentation to turn it from the mellow downtempo flute-groove of the original into a head-banging psyche-infused hip hop track that is sure to be a future classic. HR004S is available via Kudos Distribution and Juno Download.